Car batteries are one of those things where you only really notice them once they’ve stopped working. When they’re working they are used to start your car, help power your radio, lights, windscreen wipers and pretty well anything else that uses electricity in your car. Over time however you will more than likely experience issues with your battery’s performance, which can appear in a number of ways, such as the radio cutting out, the headlights appearing dimmer than normal and the car failing to start- especially on cold mornings! Knowing how to look after your car’s battery and what can cause it damage is key to getting the most value from your car’s battery, making sure that you don’t get stranded unexpectedly by the side of the road. Before your car battery actually dies you might notice a few signs that it isn’t working normally. Electrical systems are usually the first things to be affected by battery wear; you may notice your car’s radio, lighting and windscreen wipers may act differently (sluggishly or less immediately) than beforehand. Another sign that you might notice is a strong smell coming from the battery- often likened to rotten eggs. 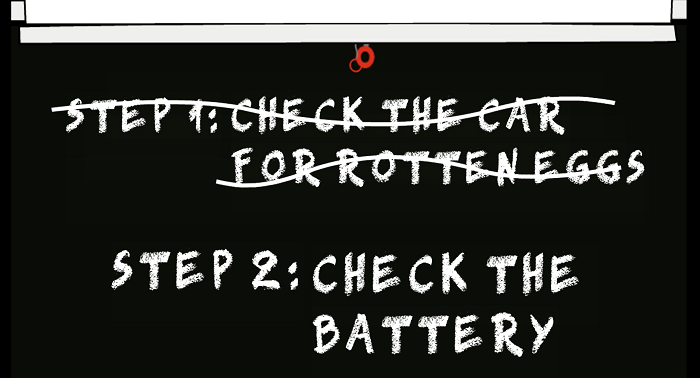 This is caused by your battery attempting to ‘overcharge’ itself (trying to recharge more energy than it can hold). This is often as a result of a fault in the charging system that needs to be addressed, otherwise the same thing is likely to happen to a brand new battery! This can also be detected visually, as in some cases this can cause the case of the battery itself to bulge. In this situation it is strongly recommended to bring your car to a qualified expert, as the swelling and the smell coming from the battery is caused by the sulfuric acid inside the casing. A lead acid car battery stores energy created by your car’s alternator. This is done with a series of lead plates that are found inside the battery’s housing and a diluted form of sulfuric acid, which react when the electric current is live, storing the energy that is produced and ‘charging’ your battery. The battery can then supply this power as and when it’s required. Over time the chemical reactions lose effectiveness as the lead and acid become less reactive, which is why car batteries lose charge faster and retain less power after several years of usage. Car batteries can usually last anywhere between three and seven years, depending on the usage they receive. How do car batteries die? When the car is running the alternator makes sure that the battery stays charged, but when the car is stationary the battery can quite easily go flat. Many people find that as the temperature drops their car has more trouble starting up- that is because it is too cold for the necessary chemical reaction to take place that make batteries work and in many cases, the cold can drain all the power held in a battery! 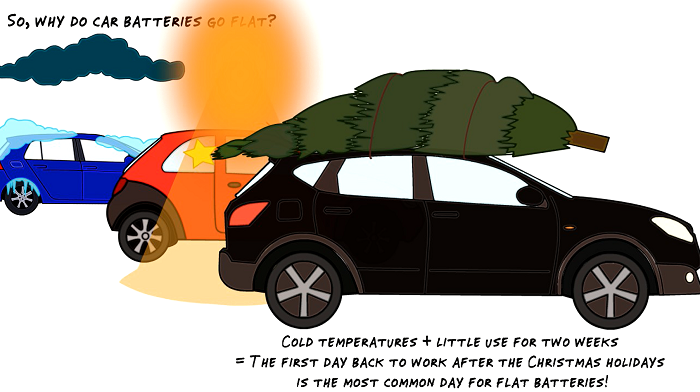 Additionally, the first day back to work after the Christmas holidays is the most common day for flat batteries. Heat is also bad for batteries too- it speeds up corrosion inside the battery and ‘ages’ them faster. For many a drained battery can be something as simple as forgetting to switch the lights off when you leave your car, or listening to the radio for long periods without leaving the engine running. How does a car’s battery recharge? A car’s battery uses an alternator to recharge; the alternator is a motor that works when the engine is running, recharging the car’s battery as it goes. It works similarly to a generator, using fuel to generate energy, and making sure that the car battery has enough power to run all the electrical components in your car. As your car’s battery gets older and has been used extensively it will find it increasingly difficult to hold the charge that it creates, which is what causes a battery to become obsolete. What does a car battery power? The most important job that a car battery performs is starting the engine. Once the engine is running the alternator generates more energy, which is stored by the battery. However because the alternator does not run while the car’s engine is switched off, so the ignition system uses power that is stored in the battery. While the engine is switched off, the power stored in your car’s battery is used for powering all of your car’s electrics including the radio, windows or anything you might be powering or charging from your car’s cigarette lighter, which is why you don’t want to run any electrical systems in your car for too long while the engine isn’t running; you run the risk of draining the battery and then not having enough power left to start the engine again to recharge the battery! Bringing your car in to ATS Euromaster to have it checked and if needed replaced is perfect for preventing unexpected failures or breakdowns. Appointments are available hourly at any one of our centres. If you use our Find Your Battery tool to buy your next battery, you shouldn’t notice any difference in performance when compared with your old one. How to change a car’s battery can differ across models and if your car has a start-stop system, you might even be required to reprogram the car when a new battery has been installed. That’s why when you bring your vehicle to ATS Euromaster we have the skills, equipment and experience necessary to change your battery without a hitch, with fitting included in the price as standard on all batteries. 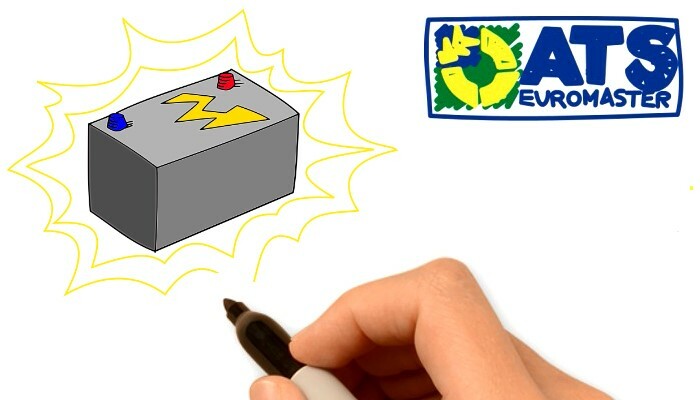 All batteries replaced at ATS Euromaster are recycled and undergo a process to ensure that they are taken care of in the most environmentally-friendly way possible. Even if you replace your car battery yourself, we’ll be happy to take in your old battery and make sure that it is recycled safely and responsibly.